Last week, Frans and I gave ClickCart a try over at the Dublin store. We had to visit that one since the service is only available in a few Save Mart and Lucky Supermarkets right now. But, ClickCart is slowly rolling out to more locations so I’m hopeful that it will be offered at my local Lucky store soon. I was curious to see how well this worked. The idea is not new but few places are able to make everything run smoothly. Okay, so first things first, I had to put in an order. 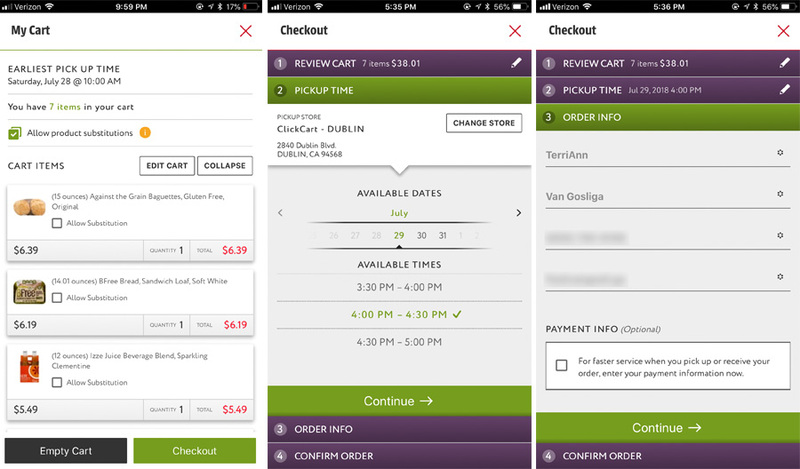 You can order your items online via computer or mobile app. 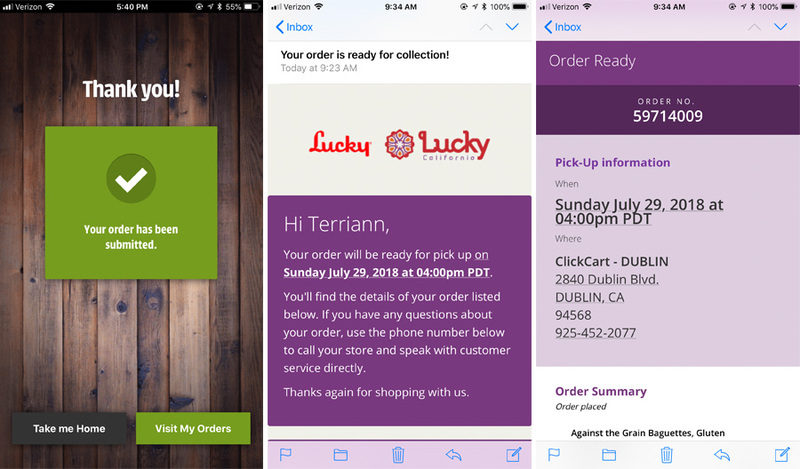 For our first order, I decided to use the Lucky app on my phone. 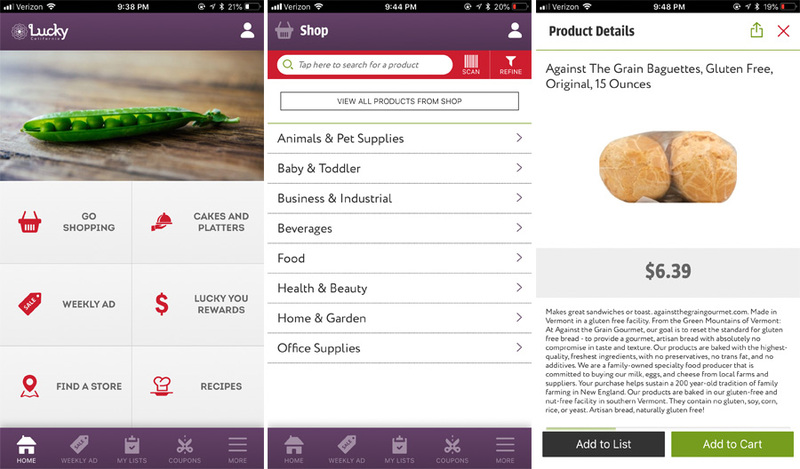 When doing your online grocery shopping using the app, you can log in as a guest or sign into your account. The categories are easy to browse through but, since I knew exactly what I needed, I made use of the search function. I was able to find most of the brands and products I normally buy so that made the process easier. To get started, I clicked on an item, added it to my cart, and selected the ClickCart location I wanted to pick my order up at. 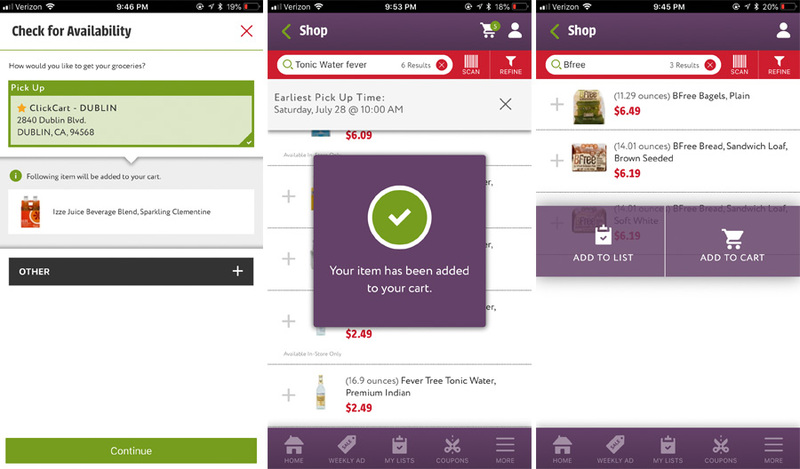 Once that was set, it was easy to tap the “+” icon to add more things to my cart. I called the printed number and a friendly associate answered. I only had to give my name and then an employee walked out with my order a couple minutes later. I was surprised by how quickly they brought my items out. It was obvious that some good organization and communication is happening on Lucky’s end. I did have to go inside to pay, though, since the portable payment device was glitching at that moment. Just so you know, the store is expecting a new set of devices so this shouldn’t be an issue for future orders. It turned out to be a good thing that I had to go into the store since I got a chance to see what the ClickCart area looked like. The service desk is right by the entrance/exit and there are two large refrigerators to keep the orders cool. I was glad to see the refrigerators as I wondered how the store handled perishable items. 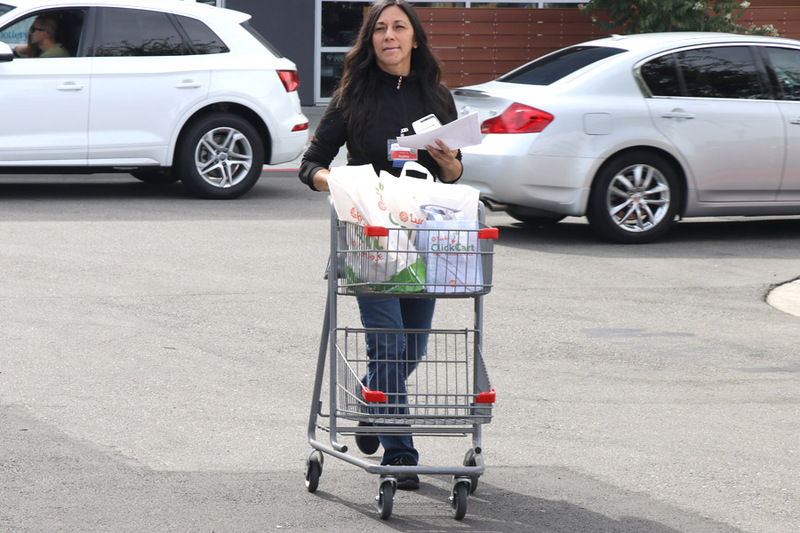 I also found out that there are usually 2-3 employees specifically assigned to the ClickCart online grocery shopping department. Of these, at least one person is supposed to be at the desk at all times. 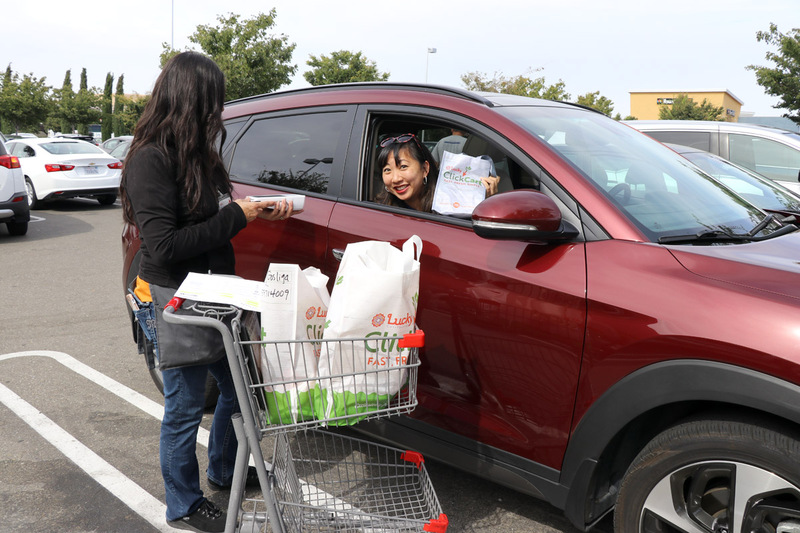 This way, personal shoppers don’t have to juggle assembling orders, manning the phones, and bringing groceries out to customers all at the same time. Instead, the crew can focus on providing timely and efficient service for customers picking up their order. This is a huge deal for me. I actually tried a similar service at another retailer and they didn’t have such measures in place. It was a total fail. It was a bumpy ordering process, had a sub-par notification process, there was no dedicated staff, and the employees who did handle orders were not trained properly. This resulted in me having to go into the store and waiting for over 40 minutes to get the THREE items I ordered the previous day. 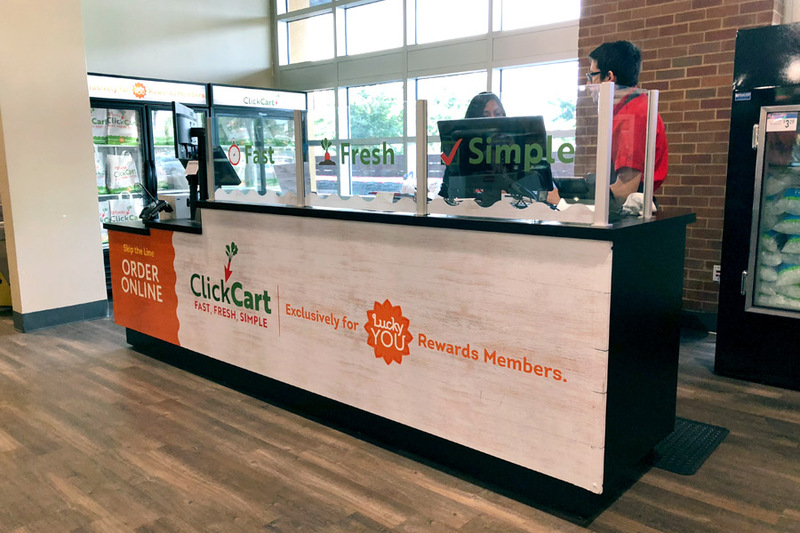 But, at Lucky, using ClickCart was so ridiculously simple and fast that I can’t imagine NOT using it the next time I have to get some grocery shopping done. The personal shopper got everything I ordered and even the produce looked good. My order was ready right on time and the whole process was so convenient. The service also helpful if a family member or friend is swinging by the store for you. There have been so many times in which I had text a shopping list, send photos, or specify the size, brand, and color/flavor/scent so they get the right items! 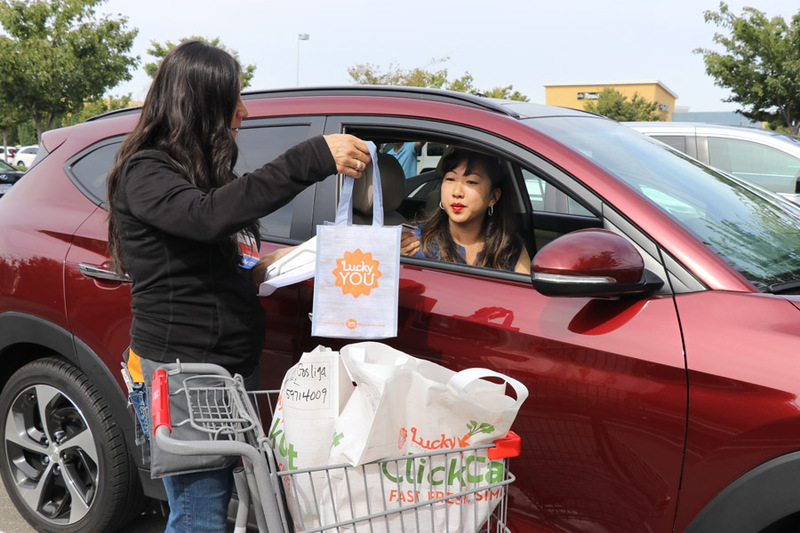 This way, you do the online grocery shopping and your friend or family member picks up the full, completed order. No detailed descriptions or shared lists needed! Plus, it’s FREE! For a limited time, the ClickCart service fee will be waived. After that, it will only be $5 per order, which more than covers the hassle you avoid versus shopping in-store yourself. 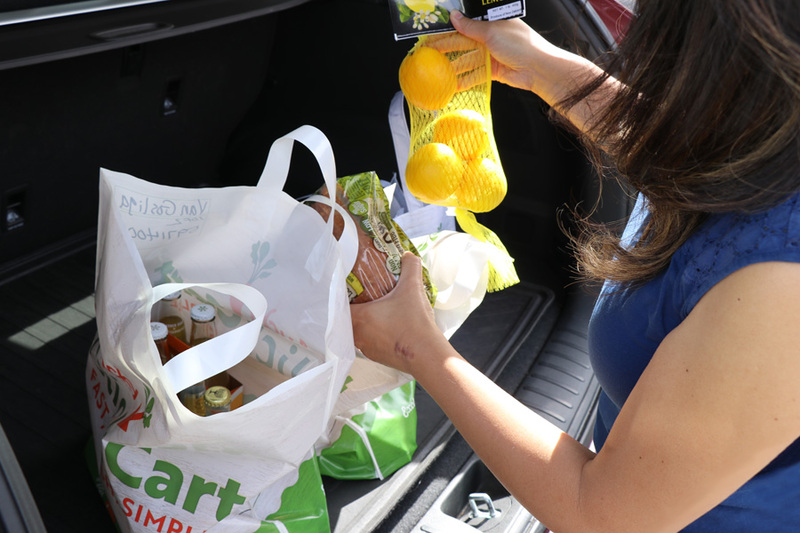 So, if you’re short on time or only need a few things from the grocery store, try out ClickCart online grocery shopping at Lucky or Save Mart (when it’s available near you). 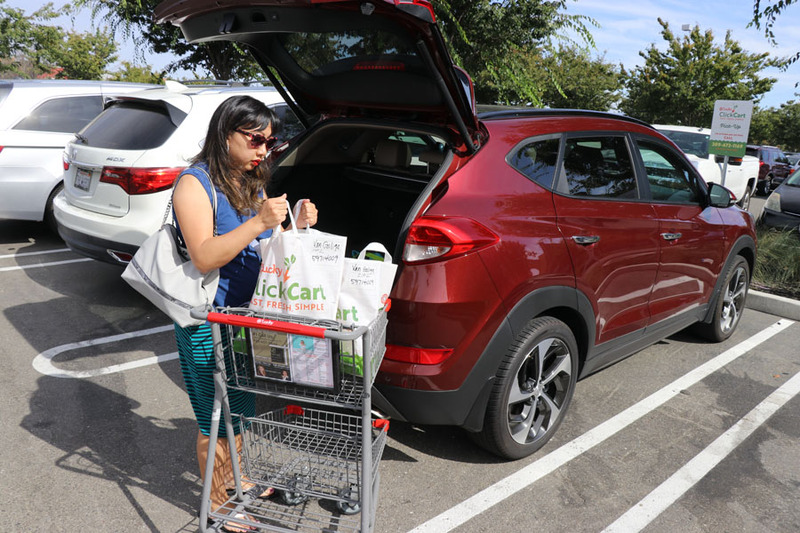 This is a sponsored post created in partnership with Save Mart / Lucky Supermarkets. All opinions are my own. 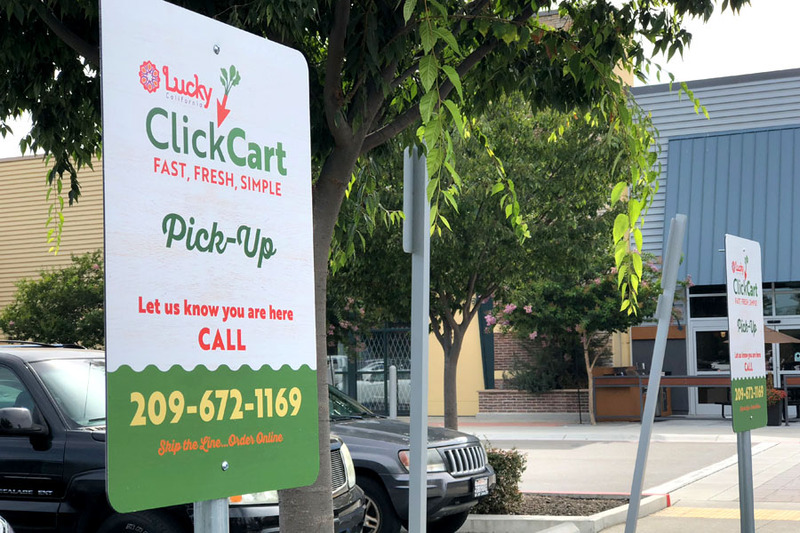 The Lucky near me in El Cerrito has ClickCart. This service would be great for last minute shopping needs, when I don’t want to deal with large crowds or long lines. I visit my aunt in California and often do her shopping for her as she is elderly and does not like to get out. 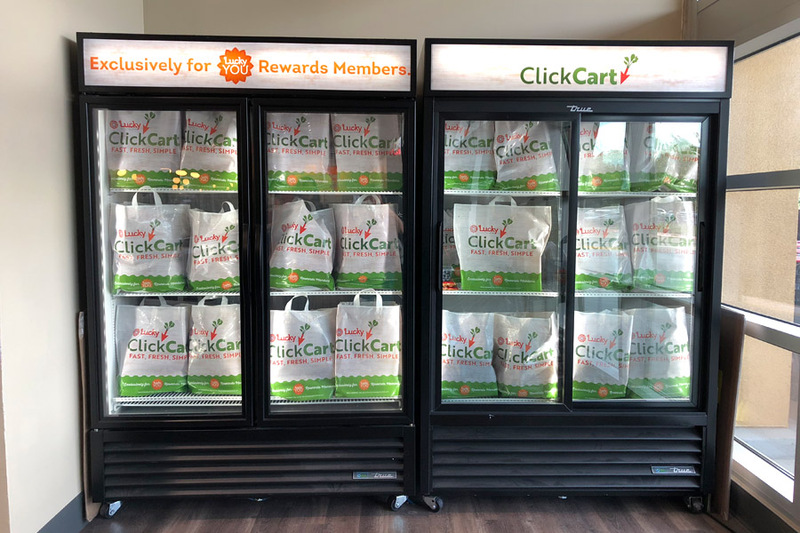 I am always crunched for time and the Clickcart option would be awesome to just drive up and have my groceries delivered to my vehicle. I’m disabled, so ClickCart at Lucky would come in handy for me every week! Thanks for the giveaway! 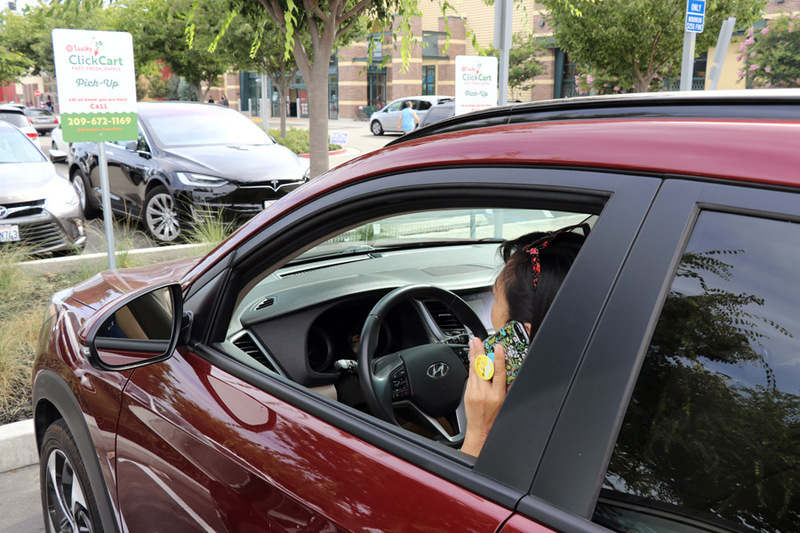 When in a rush and trying to save some travel time – it would be great to utilize this program. I suppose. I really do enjoy shopping in-store .. get my daily walk in that way. It would be super handy on snow days! It would be great for last minute parties. This would be great on one of those days when I really need groceries, but just don’t have time to spend at the store. This would be handy when I am sick and don’t feel like going to the store. ClickCart would come in handy when we are busy with schoolwork and events. This would be handy for me when I have a headache and don’t want to go out. When we are busy with aging family. On top of everything else. But love doing it. It’s nice to have, when you don’t feel like going to store for something. with a family and a job it would be great for my busy days. This would come in handy for me when I have the kids with me or on my way from work. It would come in handy when I needed to rush. It would help on those lazy days of summer when I do not have time to go to a large supermarket. It would help when I am swamped at work and tired when I come home but still have to do shopping. It would be great when I am on my way to pick up my daughter from school and need to pick up a few things in a hurry. This would be GREAT for when my Kiddos all have football practice/cheerleading and we are in a hurry for the day!! Its great for last minute shopping any time of day! ClickCart would be great on a cold winter night.